In my previous article, I discussed the Top 20 Spanish Reds to Try Before You Quit Drinking. This time, the focus is on Spanish whites and light Sherries. What a task! I had to expand the list just to fit in more of the awesome white wines of Spain—there really are too many to choose from! As with the red wines of Spain, the quality of the whites is always increasing. There are more styles of wine than ever being produced (oaked Albariños meant to be aged, unfiltered Sherries released “en rama”), and some of Spain’s top winemakers are bringing the focus to indigenous varieties like Godello and Hondarrabi Zuri. Spain is famous for its Sherry, but with the quality level of these wines and their reasonable price tags (the majority of the wines on my list could be enjoyed during a causal lunch), fortified won’t be the only style buzzed about for long. On a side note, I have decided only to include the lighter styles of Sherry like Fino and Manzanilla, as opposed to the more oxidized and longer-aged Olorosos and Amontillados. Since the focus is on white wine, many of which are fresh, crisp, light whites to be enjoyed with seafood, Fino and Manzanilla work well in this category. As a result, a few big names are missing from the list (Domecq, Osborne) since these producers are better known for their darker styles of Sherry. Also, I haven’t tasted all of these wines, but I hope to get more of them under my belt in the near future—as it stands now, most Spanish whites are still affordable and relatively easy to find. 1. Compañía de Vinos Telmo Rodríguez, Gaba do Xil Godello- This wine is made from Godello, a grape native to northwest Spain and northern Portugal. Telmo Rodríguez has been called “Spain’s most celebrated itinerant winemaker,” and is known for traveling the country in search of indigenous varieties and forgotten winegrowing sites. This wine, from Valdeorras in Galicia, is fermented in stainless-steel tanks and bottled without any wood aging. The result is a fruity, steely wine with a waxy quality, almost like a Rhone white. Rodríguez is receiving wide recognition for his wines, and this is one that a Spanish white wine lover has got to try. 2. 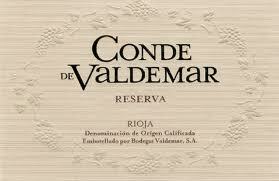 Bodegas Valdemar, Conde de Valdemar Blanco Fermentado en Barrica- Jesús Martínez Bujanda, who runs the bodega, was the first to make barrel-fermented white Rioja and the first to make Garnacha Reserva and Cabernet Sauvignon Reserva in Rioja. This wine, made from 100% Viura, northern Spain’s most widely planted white grape variety, pioneered barrel-fermented whites in Rioja. This is one of Spain’s big names in red wine, but this Blanco is also a must-try. 3. 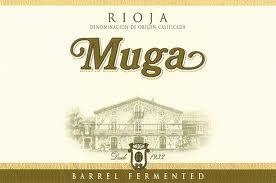 Muga, Cask-Fermented White- The Muga family has been involved in viticulture since at least the 17th century. All their wines are aged in oak (they even employ a house cooper) including this one made from 90% Viura and 10% Malvasia. A list of top Spanish whites wouldn’t be complete without a bottling from Muga. This wine is round and velvety from lees aging and has aromas of pineapple, syrup and honey. Yum! It’s also very affordable. 4. 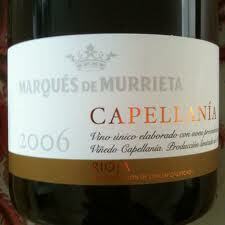 Marques de Murieta, Capellanía- This is a famous bodega, well known for bringing the Bordeaux method to Spain. This white wine, made from 100% Viura and aged 18 months in oak, replaces their older bottling, El Dorado de Murrieta (no longer in existence), which was one of the finest Spanish whites. This newer wine is full of finesse, moderately priced and has the potential to age so it would be a good one to add to your cellar. 5. CVNE, Monopole- CVNE in Rioja was created in 1879 when France, decimated by oidium and phylloxera, was sourcing wine from Spain. 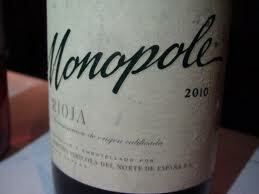 The bodega is famous for its red wine, Imperial, but Monopole, created in 1915, is one of the leading whites of Spain. The wine is made from Viura grapes fermented in stainless-steel tanks to preserve its fresh fruit and floral qualities. This is a wine that should be consumed young. 6. 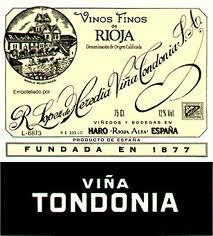 Bodegas Lopez de Heredia (Tondonia), Viña Tondonia Blanco Gran Reserva- Tondonia’s whites are among the top echelon in Spain and there are few wines that can compete with the bodega’s gran reservas. The wines, made from 90% Viura and 10% Malvasia, have a distinct oxidative note, having been aged many years in American oak and several more years in bottle. 1964 is the greatest vintage, but 1976 is also spectacular. This wine probably isn’t easy to get ahold of, and is more expensive than most, but don’t pass up the chance if it comes by. 7. 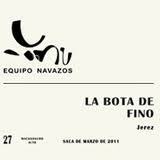 Equipos Navazos La Bota, La Bota de Fino Macharnudo Alto- This group of about 40 Sherry enthusiasts came together in search of the best wines from some of the most prestigious bodegas. The “La Bota de…” wines are blended and bottled by the group and hand-sold. Only a small number of bottles are released to the general public, including La Bota de Fino Macharnudo Alto and La Bota de Manzanilla. Either of these will be hard to find, but very well worth the search. The group makes a variety of styles—there is also an Amontillado and a Palo Cortado. Don’t pass up any of these bottles if you can get your hands on one. 8. Barbadillo, Manzanilla en Rama Saca de Verano- One of four seasonal releases from a leading producer in Sanlúcar and the largest producer of Manzanilla Sherry. As the wine is aged under flor (a film of yeast that keeps the wine from becoming oxidized), the flavor and character changes, as does the nature of the flor through the four seasons. In order to see how the wine is influenced by the yeast, the family-owned winery bottles small quantities on the first day of each season. Spring is when the flor is thickest, so the summer bottling (Saca de Verano) is the most affected by it. This wine is also bottled en rama, or “raw” without filtration or cold stabilization to show how much flavor can be lost during these processes. Drink it right away—unfiltered Sherry should be consumed while as young and fresh as possible. 9. Valdespino, Fino Inocente- Another single-vineyard wine from what is possibly the oldest Sherry bodega—the family has been involved in making Sherry for around 700 years. Grapes for the wine are sourced from the Macharnudo vineyard, the largest in Jerez and also one of the highest altitude vineyards in the appellation. The wine is barrel fermented in American oak and aged for a minimum of eight years in solera. Crisp and refreshing and a great addition to our list. 10. Hidalgo, Manzanilla Pasada Pastrana- A well-known single-vineyard wine sourced from old vines (some as old as 80 years) situated on the best Albariza soil, which is ideal for lighter styles of Sherry. This Manzanilla has a bit more color and depth than other Manzanillas as a result of longer barrel aging, with lots of roasted nut qualities and minerality. Hidalgo also makes a Manzanilla La Gitana, one of their most popular and bestselling bottlings (it shows a bit more flor character and fresh tang). Definitely a wine to add to your list of top Spanish whites. 11. Emilio Lustau, Puerto Fino- An iconic Sherry producer. The Puerto Fino is from their top line, aged in the bodegas of José de la Cuesta and Gonzalez Obregón, both located in the town of El Puerto de Santa María, one of three towns that make up the “Sherry Triangle.” No list of top Spanish whites would be complete without a wine from Lustau. This Fino is light, crisp and refreshing and would be a great complement to sushi and sashimi. Affordable and easy to find. 12. 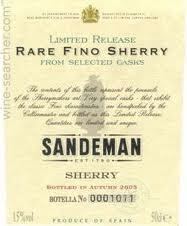 Sandeman, Rare Fino- Sandeman has been around since 1790 and their bottles (be it Sherry, Port, or Madeira) are recognizable for “The Don”—a man in a cape and wide-brimmed hat who is the iconic image of the company. The Rare Fino is a classic example of this style of Sherry—deep golden in color with intense flor-influenced aromatics and a crisp palate. 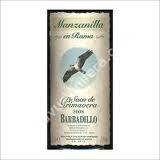 Another wine that ranks among the best in Spain but is affordable and widely available. 13. 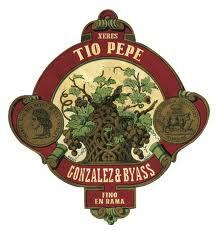 González Byass, Tio Pepe Fino en Rama- The newest release from a large producer that functions in both the mainstream and upper-end market. Tio Pepe is their best-known wine, and recently the bodega has begun bottling some of this Fino Shery en rama. It is extremely fresh and should be drunk within three months of bottling—not a problem seeing as it sold out in 30 minutes when it was launched at the London International Wine Fair. The idea is to let people taste the wine as if it came directly from the barrel—yum! A really unique Sherry that deserves a spot on the list. 14. Bodegas Chivite, Colección 125 Blanco- Two great things about Spanish wine are tradition and innovation and this family winery, located in Southern Navarra and founded in 1647, embodies both of those ideas. It makes a range of top-end wines from both indigenous and international varieties. This wine, which has three times been awarded the title Best White Wine of Spain, is a barrel-fermented Chardonnay with plenty of creamy, leesy character. If you don’t want to pay the price for Shafer Red Shoulder Ranch or Paul Hobbs, this is a perfect Chardonnay to go for. 15. 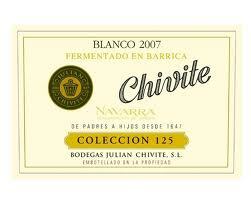 Bodegas Chivite, Baluarte Verdejo Rueda- Another Chivite selection that has received wide recognition. The 2011 Rueda was awarded the “White Northern Spain Under £10” in the Decanter World Wine Awards. The bodega has only recently expanded out of Navarra and into Rueda, but this bottle exemplifies how rewarding its attitude towards change and innovation can be. The grapes are sourced from old vines, none younger than 50 and some as old as 120 years, the latter ungrafted, pre-phylloxera vines. A beautiful summer wine full of herb and fruit aromatics with plenty of acidity and a nutty character. Drink it young. 16. Bodegas y Viñedos Raúl Pérez, Sketch- Raúl Perez is one of the most sought-after Spanish winemakers. He makes more than 80 wines from obscure varieties like Caíño, Loureiro, Araúxa, Zamarrica, Albarín, and Merenzao in regions all over Spain. He refuses to release any wines that aren’t up to his standards, so only his best are on the market. This is a single-vineyard Albariño from Rías Baixas. The vines are 60-80 years old and the wine is made in the style of Burgundy, in 750-liter barriques. The wine is aged under the sea for at least three months and released non-DO as a vino de mesa (table wine). It will benefit from some time in bottle. 900 bottles are made—not easily available but of superior quality and not to be missed. He also makes another Albariño called Multi, aged in large Austrian-style casks, which would be a great one to try if you can’t find Sketch. 17. Pazo de Señorans, Pazo de Señorans Selección de Añada - The head of this bodega, Marisol Bueno, has been dedicated to producing quality Albariño in Rías Baixas since the 1980s. She was convinced that Albariño wasn’t a grape that had to be consumed super-young, and this wine, the first vintage of which appeared in 1995, is meant to be drunk several years after release. 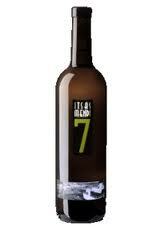 It has played a primary role in the revitalization of Albariño in Spain. This is one of the greatest Albariños, a fresh and aromatic single-vineyard wine that highlights the aging potential of the grape. 2004 was a fabulous vintage. 18. Palacio de Fefiñanes, Albariño de Fefiñanes- Fefiñanes was well known in Rías Baixas long before it became an official appellation. It is one of the pioneers that brought prestige to the area as well as to the Albariño grape. 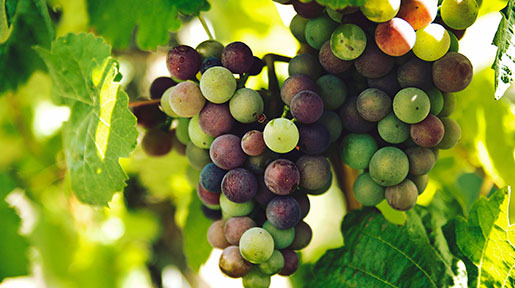 The estate buys grapes from more than 60 different growers whose vines average around 40 years old. This is their basic label (they also make two high-end wines, the 1583 and the III Año) but it is good enough to earn a place on the list. A classic Albariño with citrus and floral notes and bright acidity. Recent vintages to watch for are the 2006, 2008 and 2009. 19. Bodegas Gerardo Méndez, Do Ferreiro Cepas Vellas- Gerardo Méndez Lázaro is, along with Marisol Bueno, one of those responsible for quality Albariño in Spain. 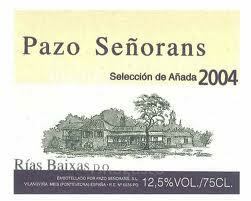 The first vintage of this wine appeared in 1986, the same year the Rías Baixas appellation was created. This is truly a handmade wine from “cepas vellas,” which means old vines, some possibly around 200 years old. The vines are trained individually by hand, according to the needs of each one, and aged in the tank for one year. This is also a wine that’s meant to be drunk a couple of years after release and not right away as some other Spanish whites. Intense, delicious, concentrated, and absolutely one of Spain’s best. 20. 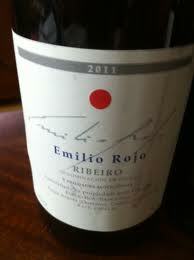 Emilio Rojo Ribeiro- This is the only wine produced by “the hermit of Ribeiro,” who became famous after meeting André Tamers, an American importer of Spanish wines who helped Rojo’s single bottling to became a sort of cult sensation in the US. Rojo had a successful career as a telecoms engineer until 1982, when he decided to extract himself from the modern world. 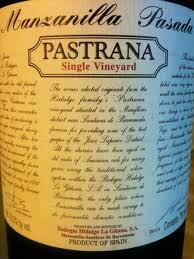 He replanted a vineyard inherited by his wife with native varieties, dominated by Treixadura. 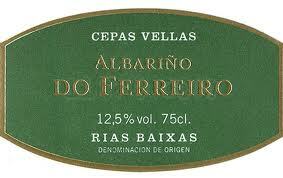 His wine is a field blend of which Treixadura makes up between 55-75%, followed by some Albariño, Loureiro and Torrontés. Don’t ever pass up the opportunity to try this wine, because it’s very unusual and is extremely limited in production. It’s also one of the more expensive Spanish whites at $50-60 a bottle, but worth every penny. 21. 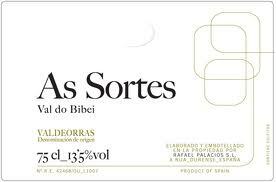 Rafael Palacios, As Sortes- The Palacios family is one of the great winemaking families of Spain. Rafael, the youngest son, became interested in Godello from the Valdeorras region, and began making this wine from old vines in the Bibei Vally subzone. Some of the vines are up to 90 years old. As Sortes is mainly Godello, with some Treixadura included. The wine is aged in Austrian-style large barrels to preserve the natural aromatics of the grape. 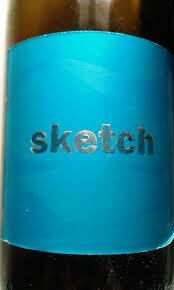 It will develop in the bottle for several years. 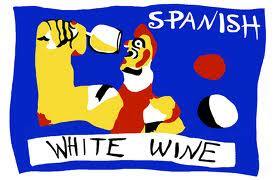 Don’t pass it up as it’s considered to be one of the highest-quality Spanish whites. 22. 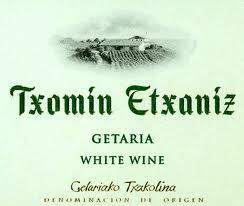 Txomin Etxaniz, Txakoli Txomin Etxaniz- Basque country is starting to become known for its wines made from the native Hondarrabi Zuri grape. This bodega, located in the seaside village of Guetaria, makes one of the best Txakoli wines among the twenty or so producers in the region. The wine is fresh, with high acidity and a bit of spritz resulting from contact with the carbonic gas produced during fermentation. This is a great example of the exciting new styles coming out of Spain, and a great one to try next time you need a reminder of why you love Spanish wine! Drink it while it’s young. 23. Bodegas Itsasmendi, Itsasmendi No. 7- Another awesome winery in Basque country, started in 1989 and currently run by one of the most influential people in Spanish winemaking, Ana Martín. Hondarrabi Zuri, Hondarrabi Zuri Zerratie and Riesling make up the varieties planted. Unlike Txomin Etxaniz, this unoaked white is meant to be able to age. The wine is aged before bottling and has a fuller body than other Txakoli wines. 2008 was a great vintage. It’s going to be hard to wait to open this one. 24. Bodegas Godeval, Godello- This was one of Galicia’s first estate-bottled wines. The owner of the Bodega, Horacio Fernández, has spent the last three decades trying to turn Valdeorras into a fine wine region. This is a great minerally, aromatic Spanish white from one of the lesser known regions and grapes. That doesn’t mean it’s not worthy of the list. Inexpensive and delicious. 25. 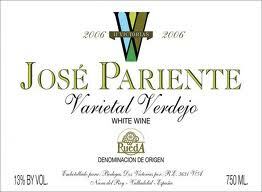 Bodegas José Pariente, Verdejo- Victoria Pariente is one of Spain’s leading winemakers, who focuses on Verdejo and Sauvignon Blanc in Rueda. She produces only three wines: an unoaked Verdejo, a barrel-fermented Verdejo, and a Sauvignon Blanc. This unoaked version is sourced from vines owned by the Pariente family, which are around 30 years old. It is classic Verdejo: intense with tropical fruit and citrus aromas and fresh acidity. Verdejo never tasted so good! 26. Bodegas Náia, Náiades Rueda Verdejo- As with some of the other bodegas on this list, this is one that takes the norm (unoaked, young and fresh) and twists it in a different direction. 12% of this wine is fermented and aged in French oak, adding aging potential. The vineyards are located in Rueda with the winery on the bank of the Duero River. 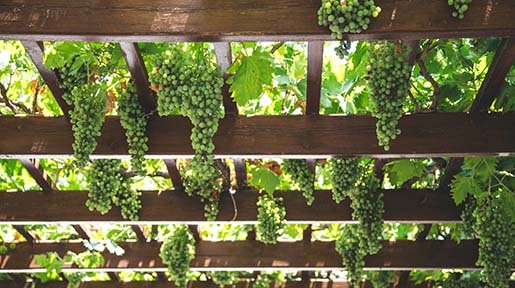 Most of the grapes come from vines almost 30 years old, but some of the fruit comes from vineyards that contain ungrafted, pre-phylloxera Verdejo vines. They are, on average, 90 years old and some are even older. This is a special, unique bottling of one of Spain’s greatest varietals. 27. Ossian, Rueda- One last amazing Verdejo to add to our list. Three members of the Spanish wine world own the bodega: Javier Alen, who owns a winery in the Ribeiro; Victor Rodriguez, a former director of the food and wine magazine Vino y Gastronomia; and Eulogio Calleja, a highly regarded Spanish winemaker. The bodega grows only Verdejo from some very old vines: they are a minimum of 80 years old, with some as old as 180 years. Many of the vines are pre-phylloxera (the pest wasn’t able to take hold in the poor, gravelly soil). These are also some of the highest elevation vineyards in Rueda. 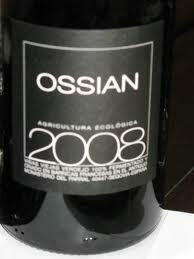 The 2007 is ideal, a wine that’s very minerally, with herbaceous qualities and some oak presence. This is an inexpensive wine and a great value. 28. Agusti Torello Mata, Brut Nature Gran Reserva Barrica (2008)- A Cava producer with a reputation for being one of the best. The estate works with only traditional grapes (the three traditional grapes of Cava are Parellada, Xarel-lo and Macabéo, also known as Macabeu). This wine is 100% Macabeu that was partially barrel-fermented with eight months on the lees. Super affordable if you’re in the mood for some fantastic bubbles. The estate also makes a Cava called Kripta, which has received critical acclaim as one of the most complex, intriguing Cavas (particularly the 2000 vintage). At $150 a bottle, it’s not cheap, but if you compare it to some of the big names in Champagne, it starts to look like a bargain! 29. 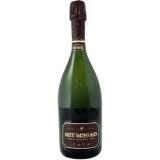 Gramona, Cellar Batlle Gran Reserva- One of the most illustrious and high-ranking Cava producers in Spain. This bottling is one of the more expensive offered, but at $100 for the 2002, 2001, 2000, and 1999—all rated at 94 points or above by The Wine Advocate—a hundred bucks is simply unbelievable. Everything at the winery is about detail and precision: pruning according to the phases of the moon, picking and riddling by hand, even the use of century-old solera wines for dosage. This wine has earned its place on the list and should be your next celebratory splurge. 30. Recaredo, Turo d’en Mota- This is the most expensive bottle from Recaredo (depending on the vintage, between $100-$200), one of the finest Cava producers. Wine writer Neal Martin has said one could argue that this bottle, along with Gramona, “represent the ‘First Growths’ of Cava.” The estate is biodynamic, bottles are riddled and disgorged by hand and undergo very long aging on lees. 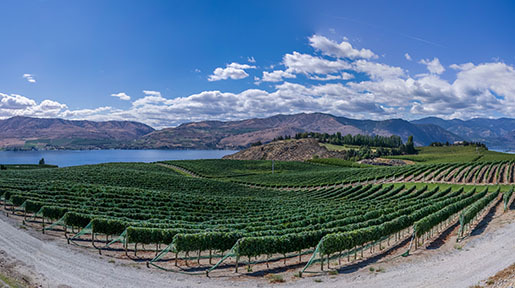 The estate aspires to the likes of Salon, and these wines (vintages like 1999, 2000, and 2002) certainly have a place among the upper echelon of sparkling wines. A must on our list of great Spanish whites. Well, it has been really difficult narrowing down this list of top Spanish whites—there are so many to choose from and new styles emerging every day. I can’t wait to try more of them! I would love to hear what you think of the list, and what you would add or exclude to your own list of great Spanish whites. Be on the lookout for my next article, profiling the top German white wines. Spain is like the wild, wild west when it comes to wine. 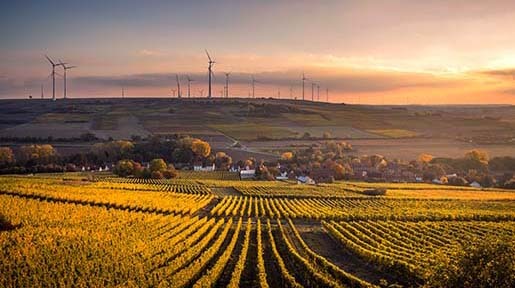 Unlike France, where individual plots of land have been set aside for centuries as the best spots for winemaking, producers in Spain are still out searching for new terroirs, new regions and new (old) indigenous grape varieties that have been pushed aside in favor of commercial winemaking. In the 1970s, Spain’s winemaking reputation was for poor-quality bulk wine. Today, regions like Priorat, Montsant and Mallorca are eclipsing the better-known regions of Rioja and Ribera del Duero. Spanish Wine Recommendation: What Is One Spanish Wine Worth Seeking Out? IntoWine.com asked our panel of wine experts their recommendation for one Spanish wine worth seeking out (but which won't break the bank): See also: Best Spanish Red Wines Where to begin? Spain is so huge with so many different styles of wine. Yet, people talk about it as if it were one region. I am going to let the traditionalist in me take over. For most of Spain’s wine history over the last two hundred years, the area that produced the most famous wines was Rioja. This landlocked area in north central Spain still makes some of the best wine: some of it in the modern style, while other wines are produced in a traditional method. Find Muga Wines I am going to suggest the traditional producer of Muga. 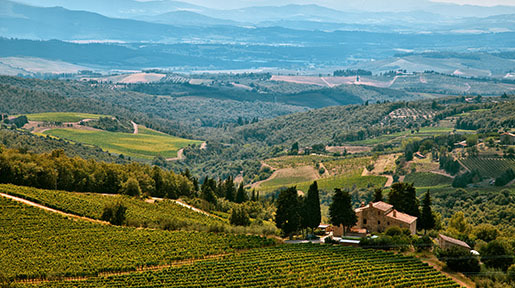 This winery, founded in 1932 makes a variety of wines at many price levels. I first am going to recommend seeking out wines from the fabulous 2004 vintage. Then look for either the Reserva or Selection Especial. These should cost around $30 and $45 respectively. While not inexpensive, these wines can be brought home and drunk or cellared for a decade or more. Made from the Tempranillo grape, they have brilliant cherry flavors with vanilla notes. Perfect with hearty to light foods or by themselves. This is a winery I would trust in all vintages with all of their different wines. - Loren Sonkin is an IntoWine.com Featured Contributor and the Founder/Winemaker at Sonkin Cellars.